When the City Commission unanimously voted not to renew the Ultra contract in Bayfront Park, we thought it was the ideal occasion for the community to participate in activating what has and always should be Miami’s signature park. The DNA and the Downtown Arts + Science Salon contacted a community-based theater company, Shakespeare & Friends USA, which coincidentally was working on the production of The Tempest for children. Vicente Albarracín and Heli Berti, director and producer, agreed that the Tina Hills Pavilion at Bayfront Park was the perfect stage, with beautiful Biscayne Bay for a backdrop. “It is the Tempest, after all,” said Albarracín. 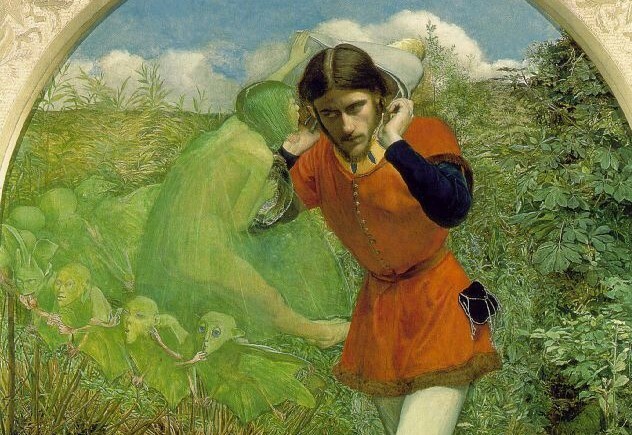 Ferdinand Lured by Ariel By John Everett Millais, c. 1850. Ariel is a spirit who appears in William Shakespeare’s play The Tempest. Ariel is bound to serve the magician Prospero, who rescued him from the tree where he was imprisoned. Amal Solh Kabbani, Downtown Neighbors Alliance’s President, estimates that the Greater Downtown Miami accounts for some ten thousand children. And we can all agree, as the Miami Herald reports, no issue is more important for Florida’s future than education. Maybe this will mark the beginning of a spring tradition in Miami: Shakespeare in the Park for Children. So, this coming March 30, 3–6 pm, with Ultra in the past, we can think of our children, that is, the future.